This week, I have taken the photo challenge some what literally in finding the “concrete” and familiar as something more abstract. All around our Irish countryside you will find concrete posts keeping farm gates in position. This one just up the road from us is slowly becoming encrusted with a variety of colourful lichens. I am trying to figure out that hole in the middle. Does it go all the way through the post, or is that some trapped water reflecting the sky? 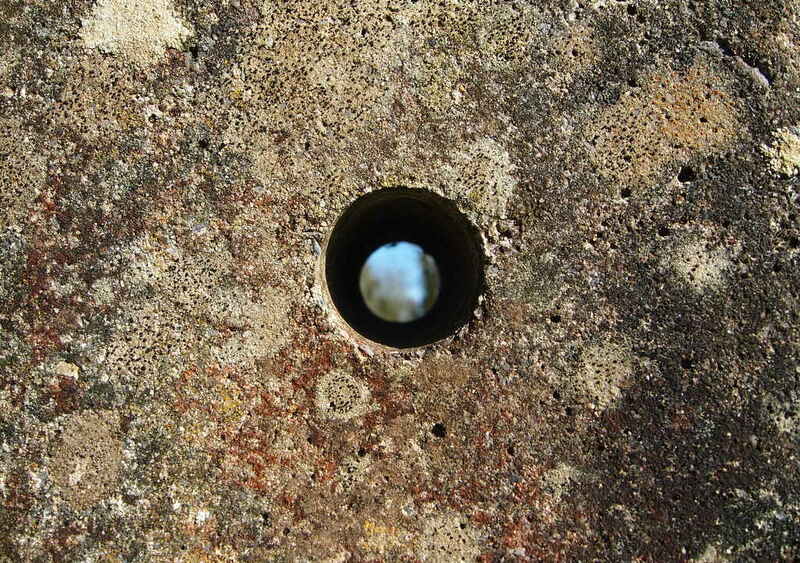 No you are right – the hole goes all the way through – that is the sky and hedge beyond! A wonderful approach to the challenge.